Didn’t drag on for too long, straight to the point greatly appreciated. Simple and concise, great instruction. Lorraine was very welcoming as well. Lunch voucher great idea too. 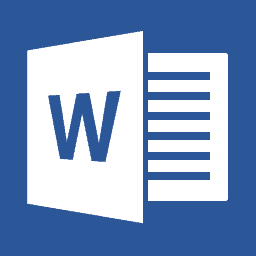 I did all three of the Microsoft word training, and have learnt so much and feel confident for my new coming job. I’ve learned a lot today. I’m very happy to have come here!!! I will use all of it. Very informative and helpful with learning new trick and features! Learnt what i needed to and will be applying these skills at wok next week! This course helped me improve upon my skills and gave me a few handy hints that I can now take back to the office and use everyday! The class was a good size. Teacher very thorough, patient and good at explaining. A good course, focused on my needs and meeting my expectations. Love the courses, always something to learn that you thought you already knew! Lorraine is fantastic as a lecturer and very interactive which makes the whole experience a good one of learning! A lot of nformation to get through, but very useful. This will speed up task at the office that used to take way too long. Lorraine was a very helpful teacher! Small size of class good for ease of learning. Alot to take in in one day. Would like a bit more time to consolidate on each area learnt, but understand other people may not either need or want this. All in all, I felt I came away having learnt quite a bit. Didn’t know Word can do so much. This course is very helpful. Lorraine explained everything very clear. Highly recommended. Thank you for another great course. Very beneficial. Will be back again for Excel sometime. This course was very informative and built on MS Word Intermediate beautifully. It was very user friendly and practical. With the more complex operations it would be helpful if Lorraine went a little slower, (where there were several clicks to complete 1 operation). Otherwise, I was very happy and will come back. Thank you. Had a great session. Learned so much. Very “user-friendly” course – any question answered and explanation repeated when required. Didn’t know I could use Word for so much! Class was small so we had alot of one on one time if we needed it. Will choose Applied Education again if I am looking at completing some more training in the future. Thank you very much Lorraine! Again!…..for such an informative lesson. I have learnt a lot during your lessons that I feel confident to implement them in my work place. Great course. Lorraine is very patient and helpful. The useful step by step instructions are great. Thanks! Great day- hands on and to the point. Really interesting course. Learnt a lot of things that will make my job quicker and easier with only a little of set up. Very good – Dan knows his stuff! Learnt some great stuff to take back to work, definitely worthwhile! Thank you so much for helping with some more Microsoft Word training. Very informative session with practical exercises. Lots of tricks and shortcuts to assist with efficiciency. This course is suitable for some that wants to update their intermediate skills with Word 2003 to Word 2010 and introduces more advanced tools. Topics include design & use of templates, styles, bookmarks, quick parts and building blocks with an introduction to macros and vba. Such a great course, learned things I didn’t know and am excited to put them into practice. Lorraine is very helpful and knowledgeable. Would recommend them to anyone wanting to know more! Great course and very informative! Lorraine was awesome and very friendly. Fantastical experience overall. Great small class which meant it was very personalised and we could all go through what we needed individually. Thanks! Dan is so good. I have enjoyed every moment of it! Dan is highly knowledgeable and won us over with his expertise and genuine approach. Very informative and I learnt so much from Dan! Thanks Dan! Great course about macros! Top notch stuff. Great content. Thanks Dan! Dan was not only professional, but super helpful with any issue or questions I had. I learnt so much in this course that will stick with me throughout my career and had fun while doing so. Great course! I have learnt so much from Dan! Thanks a million. Very helpful and easy to follow. Thanks Lorraine! Lorraine was very thorough and her course covered a broad range of Advanced Word training. She was cheerful, helpful and her class a delight. Fantastic day all my frustrations have disappeared thank you so much I can’t wait to re organise my work place and implement everything I have learnt. Am able to take away a lot of highly useful ideas which will make a positive impact to my working day. Taught in a easy, flowing and helpful manner. Thanks. Lorraine was very thorough and patient with me missing bits (too busy writing notes) and assisting me in catching up. She was excellent at focusing on the workplace issues we were all dealing with on a day to day basis. We got through a lot of information and I have acquired a great many useful tools to return with to my workplace. Enjoyed the lunch and facilities. The only downside was the crashing of doors as people passed through and the noisiness of the coffee/hot chocolate machine. Otherwise a very good day. Great day – very informative – have taken away exactly what I needed to and more. Lorraine was a great teacher and I learnt a lot. Very informative and well structured. Enjoyable course with lots of hints and tips useful in everyday work. Very informative, learn’t quite a bit. Excellent. Great teaching from Brenton. Learnt heaps.